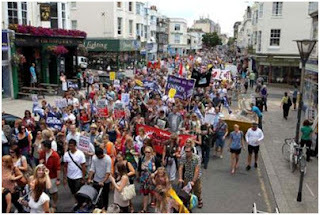 Right across England and Wales, teachers thronged to local rallies and demonstrations, ATL and NUT members marching with striking public-sector colleagues from PCS and UCU as well. The turnout exceeded expectations. London planned for ten thousand - at least twice as many hit the streets! 5,000 marched in Bristol, Manchester and Birmingham, 4,000 in Brighton, thousands more in Liverpool and Leeds. Even rural Llandrindod Wells held its own march and rally! Young teachers were to the fore - spurred into action by the pension robbery - but also by workload. They’ll be returning to school more confident to stand firm on that too. The strike itself also reached further and deeper than our last national action in 2008. The NUT estimate that 85% of schools were closed or partially closed to pupils. Many academies and even some independent schools were hit by our solid action. Yet support on the school gates and even in opinion polls showed that many parents understood why we had to strike. 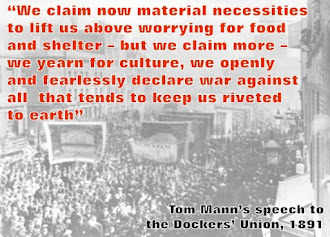 The public have seen trade unions standing up to Government cuts at last. Ministers need to be warned - if they don’t back down, they’ll be even more public sector workers on strike together in the Autumn!